The Nation has been concerned with New York City politics and governance through 32 mayors. This year's candidates could learn a lot by searching through our archives. The Nation’s home in New York City has never been incidental to its identity; for many decades after its founding in 1865, the magazine was even referred to colloquially as The New York Nation. We have been concerned with municipal politics and administration in the city through thirty-two mayors, through depression and war and terrorism and financial collapse, and well before the consolidation of the five boroughs into one municipality in 1898. As both we at The Nation and New Yorkers in general deliberate on who should be the next mayor—and much more importantly, what that person should do once in office—a few samples of previous articles we’ve published about New York City mayors may help to elucidate what is to be done, and what sort of candidate is the most willing and able to do it. 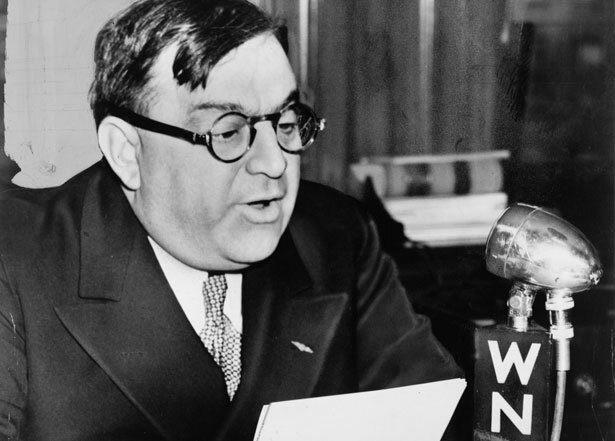 The modern era of the New York City mayoralty began in 1933 with the election of Fiorello La Guardia. Paul Y. Anderson, the brilliant muckraking journalist who frequently wrote for The Nation towards the end of his career, wrote a back-handed endorsement of La Guardia just before the election, saying he couldn’t support “the Major” for mayor because his services were of greater need in the Congress (where La Guardia had served until being defeated the previous year). In the House of Representatives, Anderson wrote, La Guardia “commanded equal respect on both sides of the aisle because his motives always were above challenge, because he always knew what he was talking about and because he was not afraid.” Moreover, La Guardia “possesses nerve without bravado, wit without venom, and eloquence without bombast…. he is a regular fellow instead of a stuffed shirt.” Candidates of 2013, take note. In 1969, just after the incumbent John Lindsay won re-election on the Liberal Party line after losing the Republican nomination, Theodore J. Lowi—then a professor at the University of Chicago who has taught at Cornell since 1972—wrote an open letter to the mayor in The Nation, begging him not to interpret the victory as grounded exclusively in personal charisma or the triumph of traditional liberalism. Lindsay was really re-elected, Lowi argued, because of the inertia inherent to massive bureaucracies. You are supposed to be their chief executive, yet you must depend upon them for your own political power. Unfortunately they do not have your interests at heart. Still more unfortunately, you may already have been captured, but none of us, least of all you, can know this until it is too late to do anything about it…. One must always ask the old political question, just who is expropriating whom? The answer usually depends upon who last forgot to ask the question. In 2013, with public sector unions besieged on all sides, Lowi’s criticisms of urban liberalism—or “interest-group liberalism,” a term Lowi coined in his 1969 book, The End of Liberalism—may seem unseemly, perhaps even conservative. For an instructive lesson in how the future mayor should not go about managing city affairs, read the late great Jack Newfield’s article about Rudy Giuliani from 2002, “The Man, the Mayor, the Myth” (later the basis of his book The Full Rudy), which charted the failures of “America’s mayor” in areas like education, garbage disposal and basic human decency. “Giuliani was a mayor of excess, with some big accomplishments and some spectacular lapses into cruelty and fanaticism,” Newfield wrote. “He sometimes seemed a captive of his demons.” Fortunately, the 2013 candidates don’t seem quite as bad as that—for the most part. But Rudy Giuliani is a very low bar, indeed.